Subterranean termites, often referred to as “white ants”, are the most economically destructive insects in the world. They feed on all wood or cellulose containing materials and if left uncontrolled will cause weakening and collapse of the structure due to their feeding activity. In Gauteng, our climate and soil conditions promote the infestation of termites. 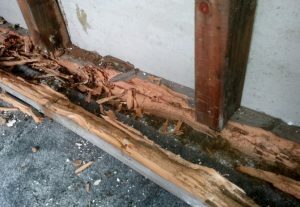 A termite infestation should be treated as early as possible once found as termites can work devastatingly fast in destroying timber. For expert advice or a quotation regarding any pest control problem, feel free to contact us and an experienced consultant will conduct a survey of your property and provide an obligation free quotation.